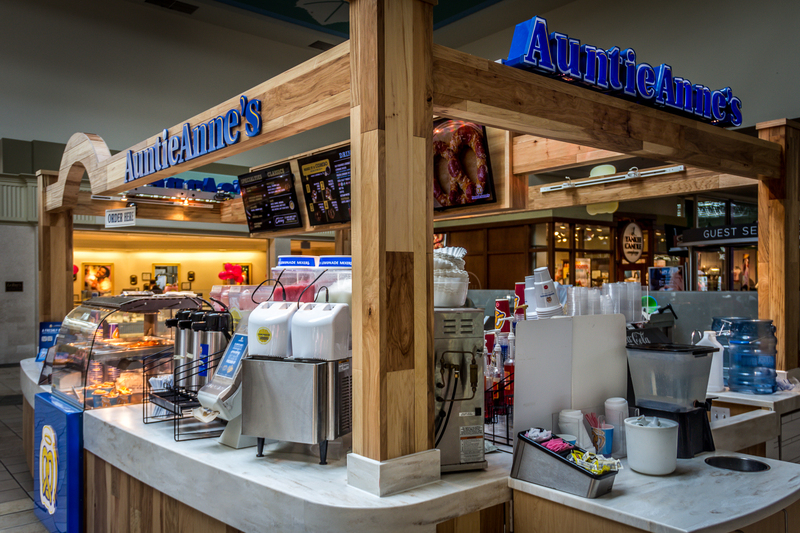 We’ve begun to remodel many of our existing Auntie Anne’s Pretzels locations to a beautiful new design. Our latest remodel is a special one for the Chestnut Land Company. Our Boardman, OH location is just across the way from our home office, and it has been wonderfully redone. The new design features natural wood accents and fully digital display boards. Of course one thing that hasn’t changed are our hot, fresh pretzels, ice cold drinks, and fantastic service!